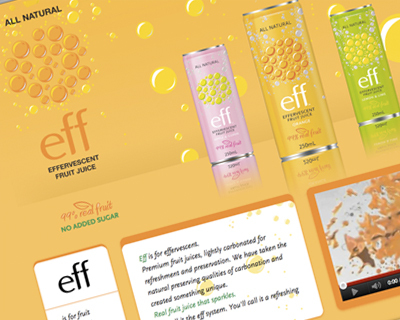 Eff is australian fruit juice website that contain of some information about the product and provides facility to track the nearest store from your location. I fully worked on the website. 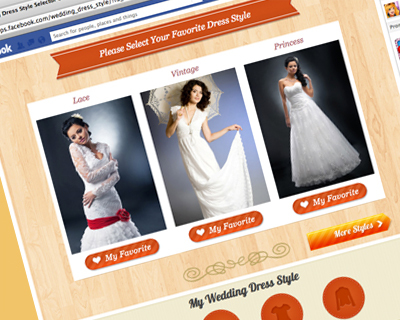 Dress Selector is facebook application where the user can get the sketch of their desired dress. I worked on the design. 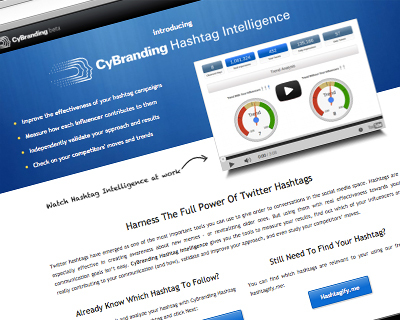 CyBranding Hashtag Intelligence gives you the tools to measure your results, find out which of your influencers are really contributing to your communication. I worked on all the design of the pages. 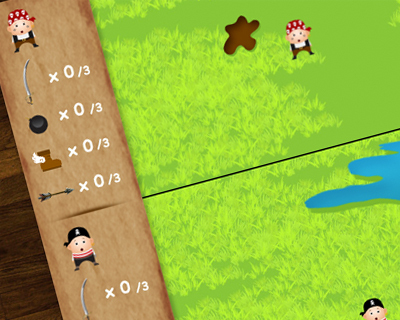 Pirates of Carriboard is a multiplayer game, where the players need to find the treasure and fight one each other. I worked on team with my friends to make this game. 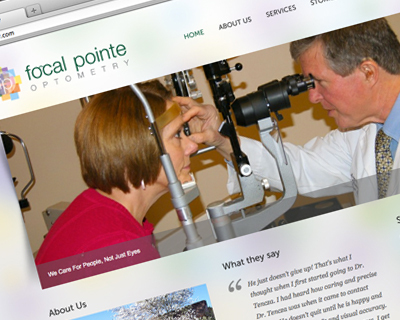 Focal Pointe is eye center that extensively check your vision, examines eyes both externally and internally. It also examines for cataracts and glaucoma. I fully worked on this website. Amazing Varnion is a website where there are so much fun stories about the employees work on that Internet Service Provider. I made this website alone when I worked for Varnion Technology Semesta. 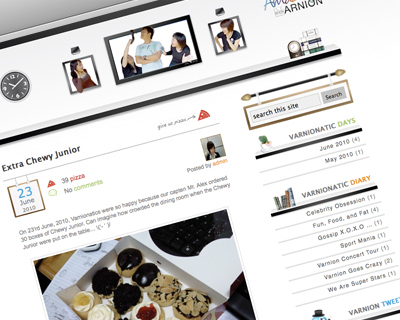 Amazing Varnion blog is a blog for posting everything about Varnion's staffs. This blog provide many interesting stories about Varnion's culture. I made this website alone when I worked for Varnion Technology Semesta. LMN is a jewelry website that sells kind of luxury accessories. I was responsible for the design. Backyard Rooms campany manufactures an exciting, new and eco-friendly way of adding space to your home without breaking the bank; a standalone (detached) bonus room that is installed anywhere you wish on your property. I was fully worked on the website. 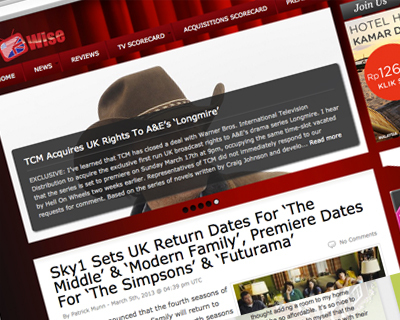 TV Wise is a blog that gives most updated information about movie in England. 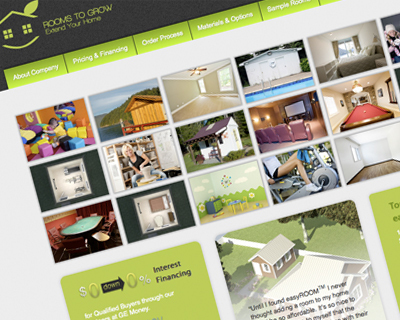 I was responsible to make the design and provided the wordpress code. Hotzone is an Internet Service Provider based on Bandung, Indonesia. It provides internet connection for apartments, universities, residents, and houses. 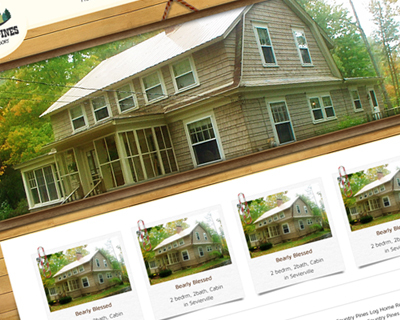 I fully worked on the website when I worked on Varnion. 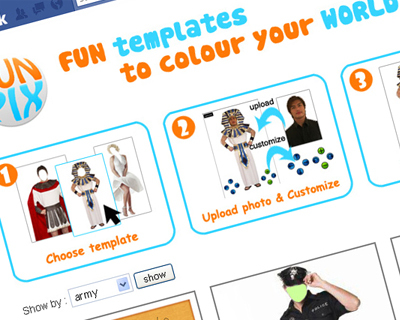 Fun Pix is a facebook application that I made some years ago in my spare time. With this application, users can choose the frame they want to use for their photos and download the edited photos. 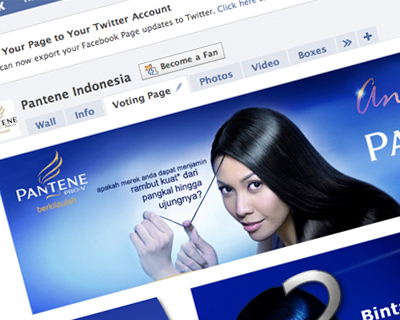 Pantene Facebook Application is a facebook application for voting the next Pantene's star in Indonesia. I worked with my friend to make it when I worked for Orange Communication Company. 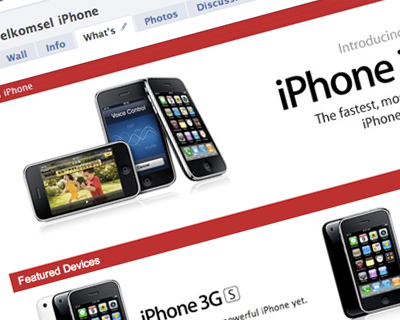 Telkomsel Facebook Application is a facebook application for providing some information about iPhone 3G for Indonesia customers. I worked with my friend to make it when I worked for Orange Communication Company. Telkomsel is one of the biggest Internet Service Provider in Indonesia. 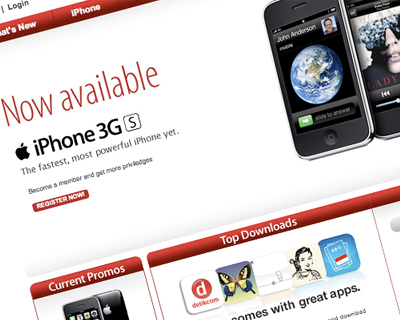 I worked on this website with my friend when I worked for Orange Communication Company in 2009. Sikat Gigi Pagi dan Malam is Pepsodent website for kids in Indonesia. This is one of Orange Communication's project. 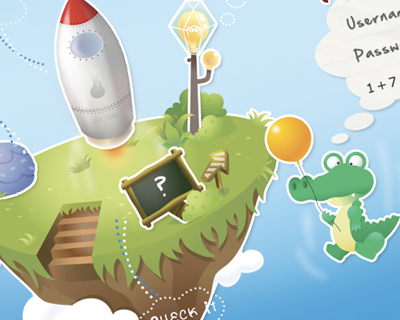 I worked to make the banner and some adjustments to the site. Windows 7 Facebook Application is a facebook application for Windows 7 Singapore. 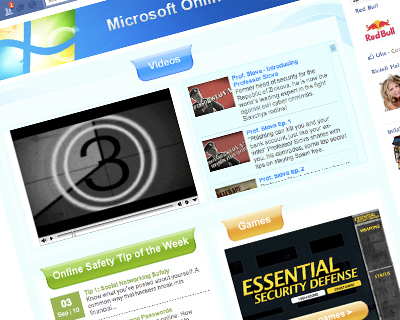 It provides video, games, and tips. I handled the design and code for this application. It is Jupiter's project (Singapore) and I worked as freelancer. 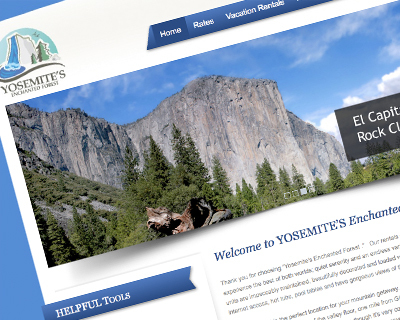 Yosemite is finest vacation rentals. It provides home and condominium units. 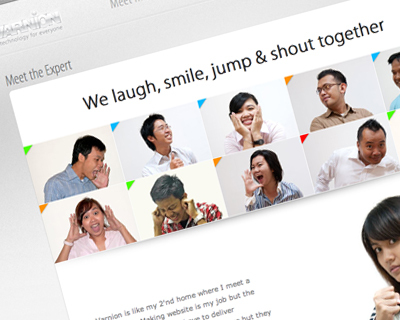 I worked as freelancer of one of the web companies in USA to make the design and wordpress template for this website. 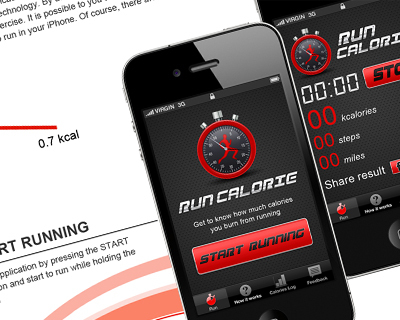 Run Calorie is an iPhone application that enables users to measure how much calorie they burned just by holding the iPhone. I worked with my friend to make this. 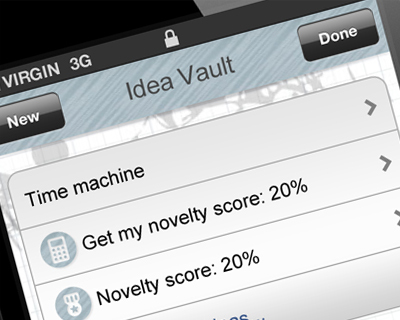 Idea Vault is an iPhone application that allows the users to share their idea. I worked as freelancer for one of the web companies in USA. I was responsible for the design. 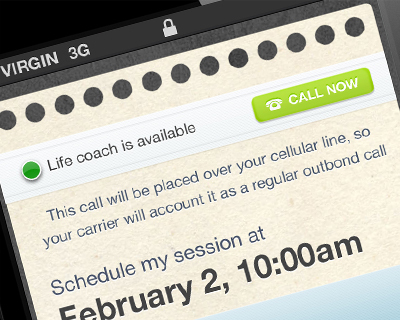 Schedule Me is an iPhone application that provides the users some features to manage their schedule. I worked as freelancer for one of the web companies in USA. I was responsible for the design. Country Pines Log Home Resort is a private log home community that is situated on 45 private acre estate located between Gatlinburg and Pigeon Forge, in Tennessee. I worked as freelancer for one of the web companies in USA. 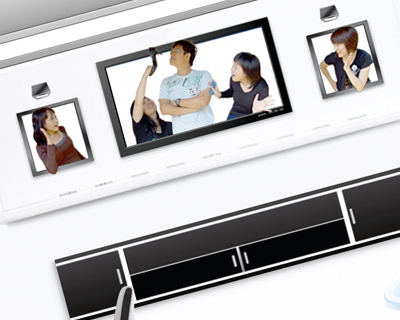 Varnion is one of the best Internet Service Provider in Indonesia. I worked for this company for almost 2 years and I am lucky to have genius team to develop this website.